Navigation: Home / Photo Gallery / Conferences / L-R: Chief Executive Officer, Diro Systems, Paddy Anigbo; President of the Nigeria Basketball Federation (NBBF) and Deputy Managing Director Total E&P Nigeria, Ahmadu-Kida MUSA; General Manager External Relations of Shell Petroleum Development Company (SPDC), Mr. Igo WelI; and Social Performance and Social Investment Lead, Shell Nigeria Exploration and Production Company, Hope Nuka, at the International Basketball Federation (FIBA) World Cup 2019 African Qualifiers match at the National Stadium, Lagos . . . on Saturday, June 30, 2018. 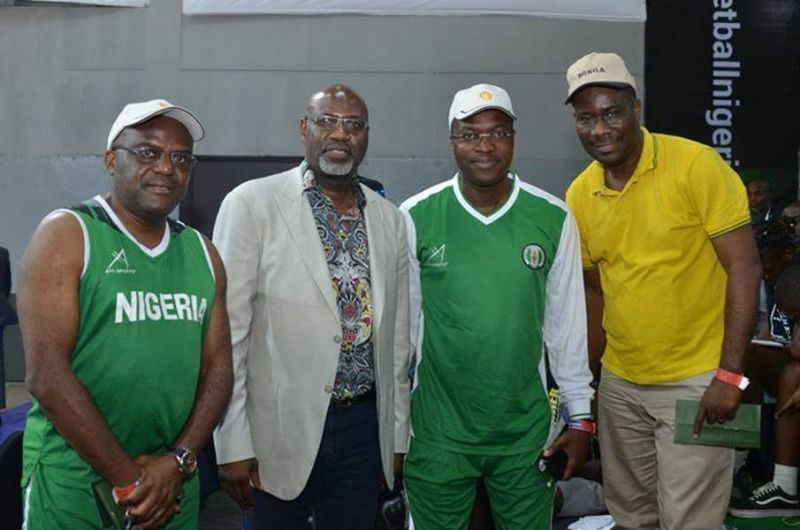 L-R: Chief Executive Officer, Diro Systems, Paddy Anigbo; President of the Nigeria Basketball Federation (NBBF) and Deputy Managing Director Total E&P Nigeria, Ahmadu-Kida MUSA; General Manager External Relations of Shell Petroleum Development Company (SPDC), Mr. Igo WelI; and Social Performance and Social Investment Lead, Shell Nigeria Exploration and Production Company, Hope Nuka, at the International Basketball Federation (FIBA) World Cup 2019 African Qualifiers match at the National Stadium, Lagos . . . on Saturday, June 30, 2018.